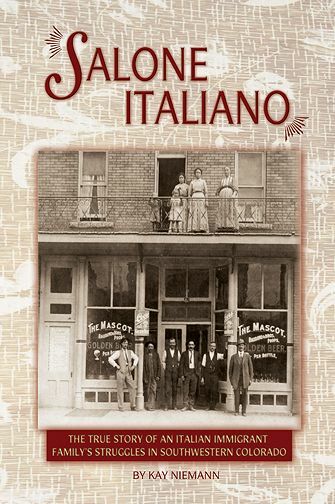 Salone Italiano is the fascinating tale of the lives and loves of the Sartore family,who exchanged their peaceful European existence for a life of both hope and hardship as immigrants living in the legendary mining town of Silverton, Colorado. Old world customs and traditions collide with the family’s newfound American lifestyle. Racial tensions reach such a fever pitch that, when romance begins to flourish, even murder is considered to keep lovers from crossing the line into segregated territory. The saga of the Sartore family is steeped in historical detail and rich in drama. Salone Italiano is based almost entirely on actual letters written by members of the family at the beginning of the twentieth century to relatives in Italy. Many of the family’s historic photographs also illustrate the book. Experience this little-known chapter of American history first-hand by vicariously witnessing the lives of true Colorado pioneers that are often forgotten in the annuals of history.